Sure-Foot’s heavy-duty rubber tiles are made from durable, long-wearing rubber specially engineered with safety, durability, and style in mind. 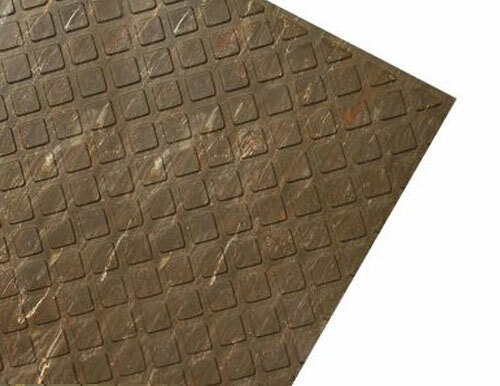 These Mahogany Heavy Duty Anti-Slip Tiles have an attractive, molded diamond-shaped pattern providing increased traction for safety in heavily trafficked areas. Dirt and moisture fall between the design, allowing for easy cleaning and maintenance. Sure-Foot Industries leads the way in safety and anti-slip flooring! Each and every one of our heavy duty anti-slip stair treads and tiles exceeds the ADA recommendations for slip resistance. Do you want to learn more about how you can prevent unnecessary slips and falls? Contact us or request a product sample today!